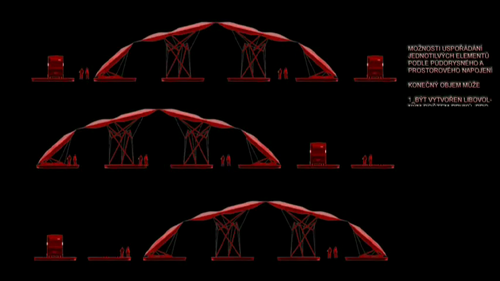 Read here about a person who designed a tensegrity structure. 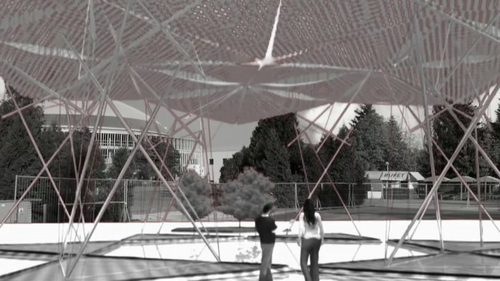 Josef Musil uploaded a detailed video on a huge tensegrity-supported pavilion. The support pylons are 3x2 strut tensegrities. 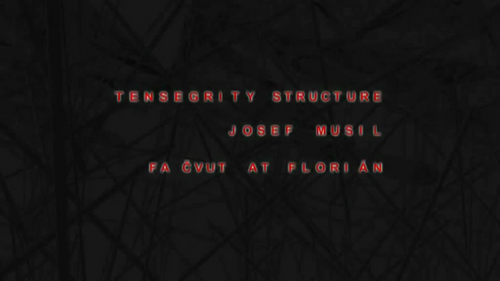 Side view of tensegrity pavilion by Musil"
Title: Tensegrity Structure Josef Musil Fa Cvut At Florian. By Musil." 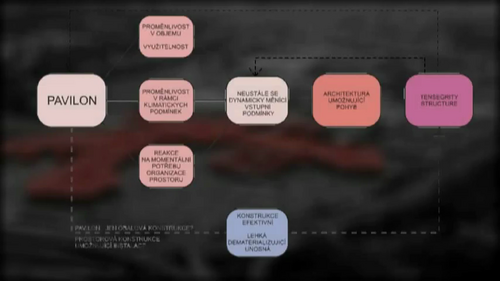 Myslenkovi Diagram of the tensegrity Pavilion, by Musil." 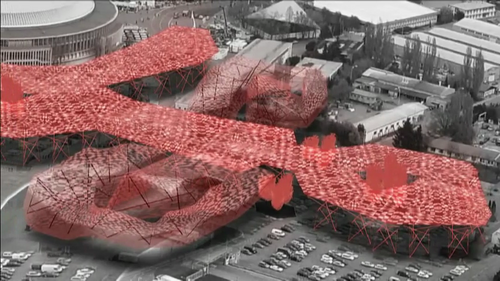 Areal view of the tensegrity pavilion, by Musil." 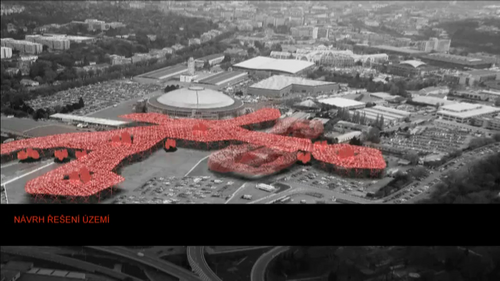 Areal view of the tensegrity pavilion, by Musil. " 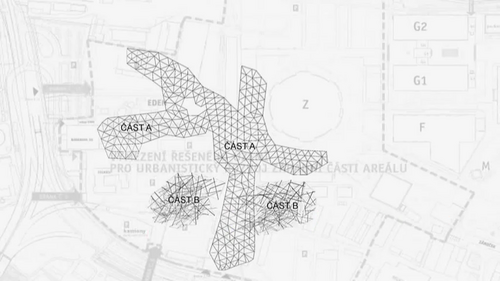 Areal view of the tensegrity pavilion, showing the two types of structures,by Musil. " View inside the pavilion, by Musil."